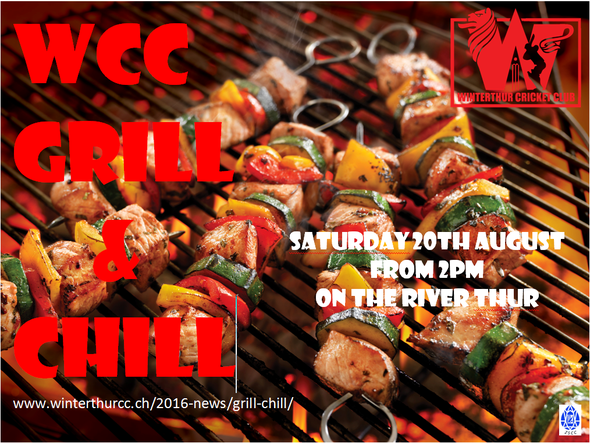 Despite Saturday's forecast, the WCC and ZSCC summer BBQ went ahead as planned, on 20th August in Thalheim an der Thur, at the bank of the Thur river. The River Thur helped keep the beers nice and chilled whilst the BBQ was being setup and the 1st round of entertainment was to knock an empty can of beer, which was being perched on some rocks in the river. There were a few people who managed to make a direct hit while John discovered a new way of performing the "can can", little Rohan entertained himself at the waters edge with his truck when the big boys decided to have a friendly competition of skipping stones. There was also Freebie entertainment watching a horse-rider in the river, her name was Star and yes she is single. 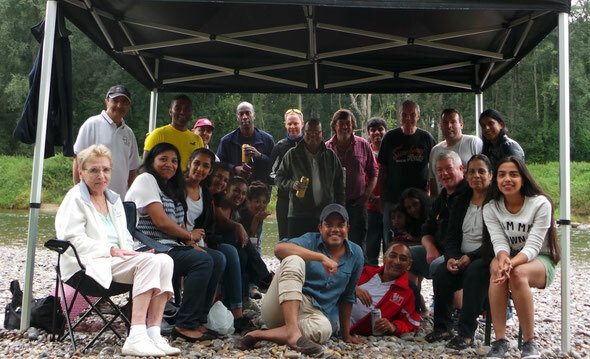 A lovely time was had by all who came to the BBQ. Rain didn't play spoilsport after all and the evening was finished off nicely by enjoying some dessert cake. Kudos to all the club members who showed up. Special thanks to Sejal for taking care of vegetarian option; Jiten, his brother Kamlesh and Tom for helping out with shopping, setup and transportation, Ray and Ann for offering alternative venue and to all who supported through out the event. For further information on this event contact WCC's Vinny Patel. You can also view more photos of the Grill & Chill event in the WCC gallery.